Easy Cut – Neat Cutting Oils are designed for use as they are received and are non-miscible with water. They have excellent lubricity and anti-weld properties, assist in extending tool life and produce a quality finish on machined parts. 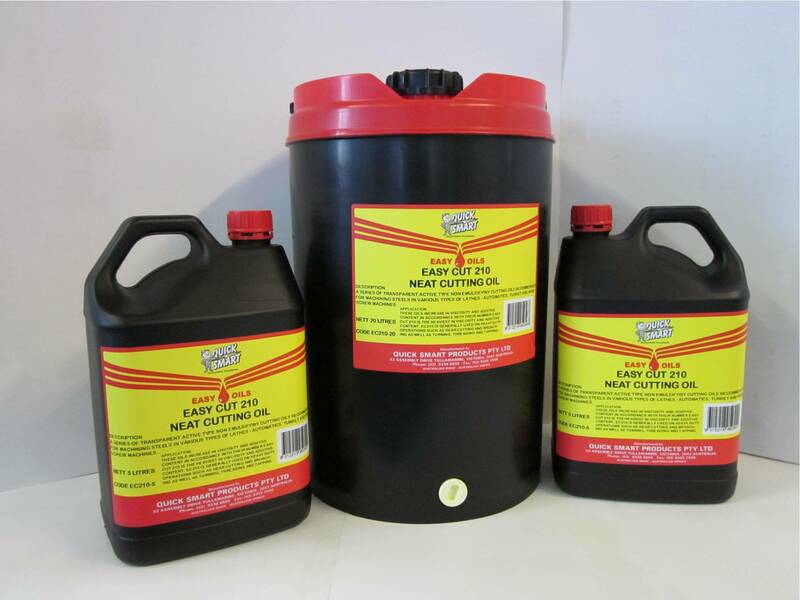 A comprehensive range of neat cutting oils for the machining operations of both ferrous and non-ferrous metals is available. The products range from inexpensive oils for non-critical operations to premium quality oils for exacting precision processes.